Crescent Ridge Landscapes┃Your lawn and landscape the way it should be. Creating masterpiece landscapes since 2001.
your side of the fence. 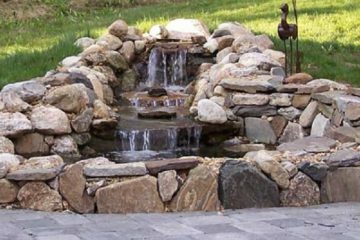 The custom architectural design for your project begins with an introductory visit to your home or place of business by Matthew J. Underwood, Founder of Crescent Ridge Landscapes, LLC. 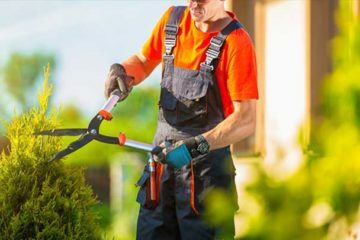 source for the highest quality and landscaping services. Crescent Ridge Landscapes and Matthew Underwood did an exceptional job replacing my old railroad tie retaining wall with a beautiful decorative block wall. I could not have been more pleased. His team were hard working professionals and actually completed not just the wall but also removed trees, added more drainage, repaired the sidewalk from a collapsed drain pipe and even added steps with a handrail. I will definitely hire his company for my future projects. Matthew does a great job and provides more than just efficient execution, he has great ideas on how to achieve your goals and is creative in getting the look you want within budget. I really appreciate working with a reliable business whose team is able to provide consistent quality each time they come to your home. It's a pleasure working with Crescent Ridge Landscapes and I would highly recommend them without hesitation. We first contacted Crescent Ridge Landscapes to perform some basic property cleanup/maintenance, driveway work, grading, and tree/flower planting. After the completion, we were so impressed with their work, that we have hired them for all other outdoor projects for our home. Offering many services, Matthew and his Crew commanded projects including installing fencing with an electric gate, building several custom decks with a screened-in porch, and major debris removal. With each experience, the team always has been professional, on time, and communicates well no matter what the project entails. 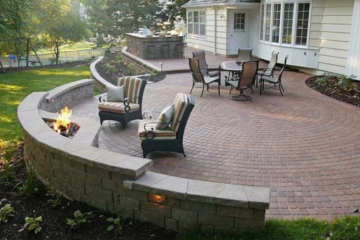 We definitely will continue to use Crescent Ridge Landscapes for all of our future outdoor projects, in addition to, recommending them to anyone we know with outdoor landscaping needs. Thanks, Matthew and Crew! Great company. Used them for years. Always happy with their landscaping and lawn maintenance. Crescent Ridge did a super job landscaping front of house and replacing lawn with Zoysia, looks great, very happy and will use them again. I have contracted Crescent Ridge Landscapes on two separate projects and each time the Crescent Ridge bid was considerably less than the other bids and each time Crescent Ridge delivered more than promised. I highly recommend Crescent Ridge Landscapes. Excellent Service!!!! These guys are like the one stop shopping for lawns. They repaired my sprinkler system from hell, built a beautiful retaining wall to solve my erosion problem, and installed a lighting system befitting a mansion. There was nothing these guys didn't do well! I was so impressed with the response time after I contacted Matthew Underwood about my project. He was prompt, professional, explained the project step-by-step, very courteous, and affordable. His crew was hard-working and efficient. I love my irrigation system and would recommend Crescent Ridge Landscapes, LLC to everyone!